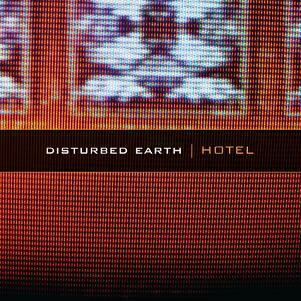 The album “Hotel” by Disturbed Earth, released on AtmoWorks label, is a creation of Dean Richards, an ambient musician from Melbourne,Australia. This work is a significant one in his activity, as it describes one place in Florida, located somewhere close to the nature, which he called his hotel, and where he became Disturbed Earth. Really, nature is a great source of music inspiration, and in this drone ambient album, constructed by pedal harmonium and guitar sounds, additionally encrusted by found sounds, represents a great example of such natural influence. The starting point is “Outboard”, beginning with ringing drone, furnished with gentle helicopter-like sounds, unhurriedly moving to a serene, radiant island of ambience, located in the end of the track. “Shanty”, supposedly describing a far away hut, somewhere in the forest, precisely reveal this accommodation, filled with tinkling of the wind chimes, some subtly swooshing sounds, reminding of a draught in a room with opened windows, and some other surrounding hummings. “Greasy” appears to be a smooth, blurred and peaceful ambience, though not lacking some light coating of sadness; again, on the background you can hear some field recordings, saturating the natural flow of these fragrant and pleasant sonic waves. The titling track “Hotel” is a great solution of the natural sounds, and the sounds, produced by the musician; in this case, the solution is neutral – it is comfortable and warm, as if it is the intrauterine liquid inside of a mother’s abdomen, where a child is emerging and preparing to see the light of our world. “Jalousie” is the longest track in the album, and the most saturated with the mentioned found sounds, and the music here is appearing and vanishing, like sea tides; it is an amicable succession of natural and artificial energies, interlacing into a tranquil and enlightening symphony. So, pay a visit to Disturbed Earth’s “Hotel”. This entry was posted in Uncategorized and tagged ambient, AtmoWorks, Dean Richards, Disturbed Earth, drone. Bookmark the permalink.